all three images are from the a muse clear stamp set, party time. 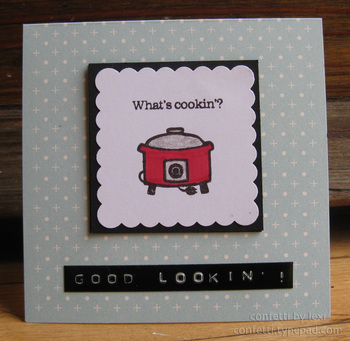 and they would be great for father's day next month--what kind of cooks are the dads in your life? 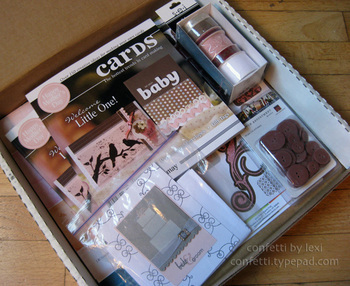 i have another card in cards this month, so another box of goodies arrived. this time, i made myself create something using one of the papers right away! i was drawn to this cool cloud pattern and immediately thought of tweets from the saltbox studio. most of the paper has fading out words with the clouds, but i cut a small section where they were mostly faded and unreadable. 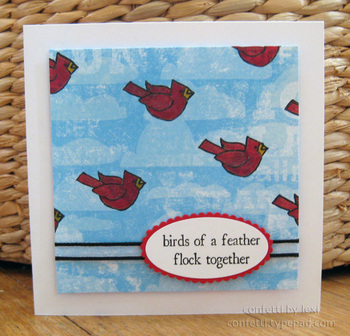 and since i love red on light blues, i picked the cardinal to be my birds of a feather. i love these fun mail days, but i think i need more hours in a day to actually be able to play with the stuff in 'em! 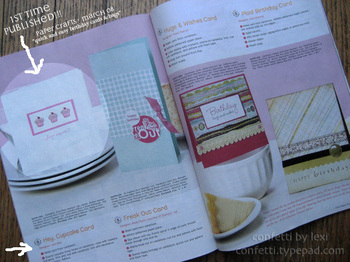 check out my wedding cake card in the stamping section, page 134. i haven't had as much time to spend on submitting lately. 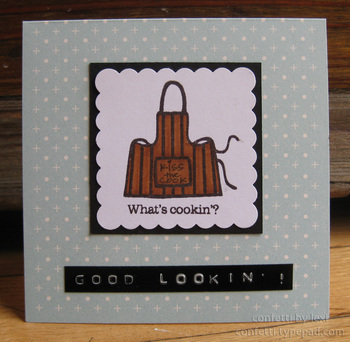 i have 2 or 3 more cards in different publications in the next month or so, but not much after that for a while. 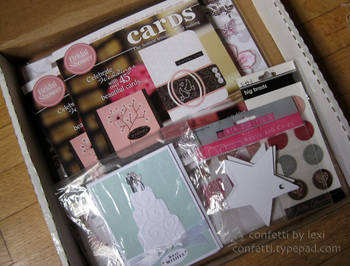 i need to get back into it so i can get more of these fun boxes! one of the best things about submitting for publication is getting your card back--along with copies of the magazine and some fun stuff to make more cards with! this month marks my first time published in cards and it just so happens i was assigned to review it for craft critique. I was thrilled to have a card picked up for another magazine i enjoy so much and couldn't wait to see it in print--waiting is so hard! 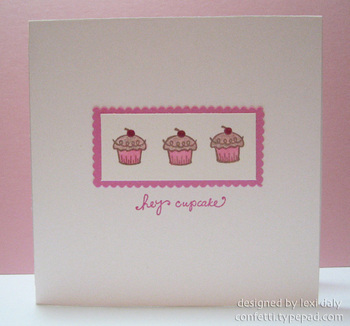 my review is posted today and my card is on page 35--check 'em out! right around that time, paper crafts had a call for quick and easy birthday and while i made a few specifically for the call, i added this one to my submissions at the last minute. think simple. think a muse. right?! it's the one they picked up, so i'm glad i did! it's a great issue--who doesn't need quick and easy birthday ideas and if designing "for the birds" is your thing, they've got you covered!